Road cycling is popular throughout Spain and groups of lycra-clad cyclists are a common local sight on our steep mountain roads, particularly at weekends. The steepness and the relentlessness of the hills hereabouts means cycling on the local roads is not for the casual bike rider. A competitive club cyclist will, however, find the terrain enjoyably testing. 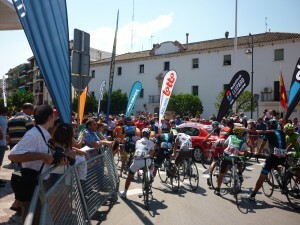 Spain hosts many competitive cycling races each year, including the Tour of Andalucia (held in February), Volta Ciclista a Cataluna (late March) and the Tour of Spain (La Vuelta) in August. For the less competitive/combative cyclist, there is the Via Verde: along the paths of an old railway line which once transported olives. This is now a cycling/walking trail. The old stations dotted en- route have been transformed into cafes/restaurants. We have maps; details of local rides and the Via Verde available for use at Las Rosas. For information about clubs and competitions throughout the country, including Andalucía contact the Spanish Cycling Federation, C/de Ferraz, 16-5, 28008 Madrid. Tel: +34 91 242 04334.